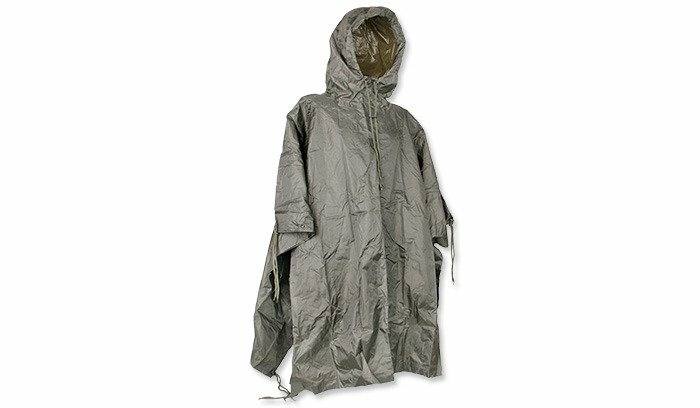 Poncho made ​​of 100% nylon from inside rubberized. The threads are woven into a distinctive rip-stop pattern which resulted in a lightweight yet strong and durable weave. Poncho also has all seams taped. The hood is equipped with a lanyard. At the edges metal eyelets and studs. 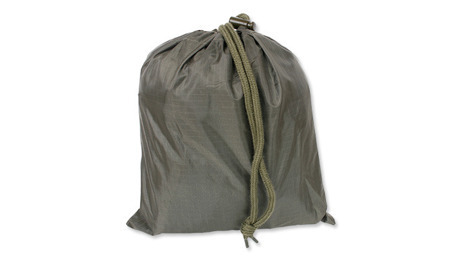 The product is ideal for short and longer trips. Successfully will cover an adult with a backpack. In extreme conditions (thanks to included cords) you can create a small tent. For this purpose two ponchos they can be connected by snap buttons. When folded will fit into side pocket of backpack.